The Simpsons are known for having some of the most memorable and talented recurring guest stars. There is Joe Mantegna who plays the role of Fat Tony, the late, great Marcia Wallace who played Edna Krabappel and John Lovitz has starred in a number of guest roles and appearances as well. However, as amazing as all of those performances are, there is one guest voice who always manages to catch my attention and bring the nonstop laughter, and that voice is none other than Phil Hartman. Why is this relevant? 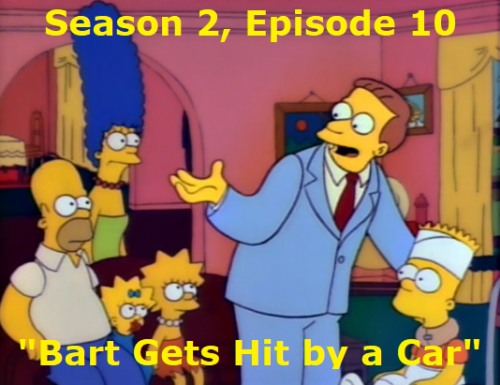 Well, the next episode we are taking a look at is “Bart Gets Hit by a Car,” which just so happens to be Lionel Hutz’s first appearance, and Phil Hartman’s first credit as a voice actor on The Simpsons.